The country was renamed on June 23rd, 1939. People speaking one of the Tai group of languages settled in what is now Thailand around 1,000 years ago. 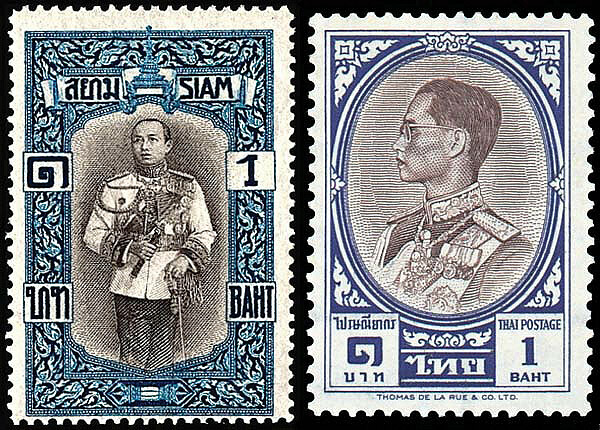 The name Siam came from a Sanskrit word, syam. It was adopted by the Portuguese from the 16th century and became the accepted geographical term. Kingdoms rose and fell, but from the 1780s the Chakri dynasty ruled the whole of Siam from their capital at Bangkok. They extended their domain into parts of modern Laos, Cambodia and Malaya, but in the late 19th and early 20th centuries they were forced to surrender their territories there to the French. In 1927 a radical People’s Party was formed. One of its founders was an army officer called Phibun (in full, Luang Phibunsongkhram), who in 1932 helped to lead a coup against the Chakri king and set up a government closer to a western-style democracy, with a parliament. The monarchy survived, but in 1938 Phibun took charge as dictator. A forceful nationalist and moderniser, he changed the country’s name to Thailand. The change was part of Phibun’s determination to bring his people into the modern world and at the same time to emphasise their unique identity. It was an anti-Chinese move with the slogan ‘Thailand for the Thai’. There were many Chinese in the country and many prosperous Chinese businesses, but Phibun cut down immigration from China and government-backed Thai businesses were set up, while the use of Mandarin in Chinese schools was limited to two hours a week. Thailand adopted the western calendar, a new flag was created and a new national anthem, while Phibun demanded that Thais wore western-style clothes, including hats. Thailand was allied with Japan in the Second World War and Phibun was forced to resign in 1944, but he returned to power with military backing in 1948 and the army ran Thailand with support from the US. Phibun was finally ousted by rivals in 1957. He retreated to Japan and died there at the age of 66 in 1964.